Editor's note: In this story from April 2017, NPR's Linda Wertheimer talks to Professor Andrew McGowan, Dean of Berkeley Divinity School at Yale, about theological and liturgical intersections between the Easter and Passover holidays. As in 2017, the two holidays overlap again this year: The eight-day celebration of Passover beings Friday, March 30, and Easter falls on Sunday, April 1. At midnight tonight, many Christian congregations around the country will hold an Easter vigil to commemorate the resurrection of Christ - this as Jewish congregations celebrate Passover, an eight-day commemoration of the Jewish people's liberation from slavery in Egypt. I'm joined now by Andrew McGowan. He is dean and president of Berkeley Divinity School at Yale. Thank you for being here. ANDREW MCGOWAN: Thank you, Linda. 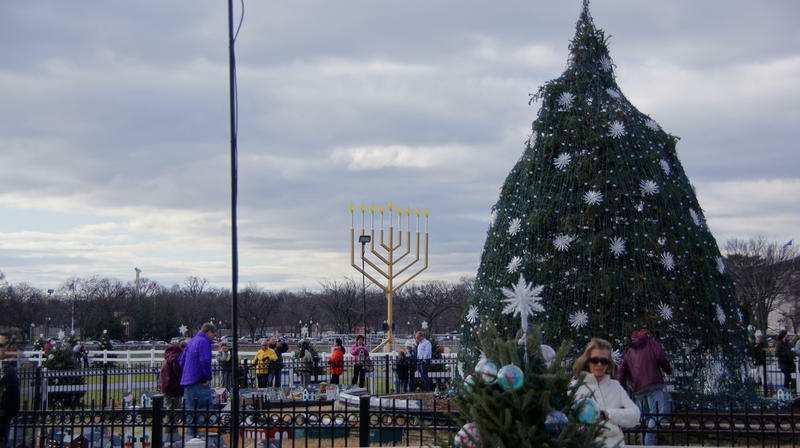 WERTHEIMER: So tell me - is it something special when these holidays overlap? They are generally close, but not like this year where they're just - one is right on top of the other one. MCGOWAN: That's right. They don't always overlap for reasons that have to do with oddities in astronomical calculations than anything else because they actually share a common history. And I think that it is special when they overlap because Christians are certainly able to see more readily how the roots of their Easter celebrations are intimately connected with the celebration of Passover. And perhaps Jews also see the sense of affinity that they have with their Christian neighbors and perhaps find other ways in which their own celebrations are illuminated. WERTHEIMER: You know, one of the things that is said every year at the Seder that I go to is that the last supper was a seder. MCGOWAN: That's absolutely right. We can't be sure that it was a seder quite like those that are more familiar from recent times because, in fact, strange as it may seem, the stories of the Last Supper are among the oldest evidence we have for anybody celebrating a seder. And yet they don't include some of those lovely details that are familiar to so many - the series of cups of wine or all the special foods or the questions that are asked. But it's absolutely true that the bulk of the earliest Christian material identifies the Last Supper as a meal celebrated at Passover by Jesus with His disciples, even though they're a bit short on the ritual detail. WERTHEIMER: Are there echoes in the two faiths now in the way the two holidays are celebrated? MCGOWAN: I think so. There are some similarities still, and there are some ironic differences. I mean, there are many parts of the world where Christians will traditionally eat lamb, for instance, at Easter. And they might think of that as something to do with Jesus as the Lamb of God, but, of course, that's also an echo of Passover, in particular, even though, ironically, lamb is not so likely to feature at a Seder table because of the fact that the sacrifice of the Passover lambs ended when the Jewish temple was destroyed in the first century. MCGOWAN: ...And make hot cross buns every Easter, for instance. And that's a pretty yeasty, you know, leaven-y (ph) kind of exercise. MCGOWAN: But still, I would beg still to point to the affinity between wanting to bake and the significance of bread and grain and its significance as something that supports life as a kind of basic food. And, of course, Christians use unleavened bread - some Christians, at least, in the Western Christian tradition tend to use unleavened bread for every Eucharistic celebration. And that in itself is understood to be an echo of that last supper. So Christians are sort of using a form of matzah throughout the year and celebrating a little Passover every Sunday, in one sense. WERTHEIMER: What about the journey from slavery to freedom which is part of the Passover celebration? The way that Christians celebrate the journey from death to life which is part of the resurrection of Christ - I mean, are those all parallels that we should pay attention to? MCGOWAN: Well, the Easter Vigil itself is really a kind of mini Passover for Christians, I think. Much of its symbolism is specifically about mapping Jesus' narrative - the story of Jesus' connection and his movement from death to life - as a kind of image that parallels that of the Exodus experience so that Jesus becomes Israel itself and his passage from death to life is like the passage through the Red Sea. And so Christians themselves, especially in the first thousand years of Christian history, saw the whole of the Jesus experience very much as a new kind of Passover, a new kind of deliverance from slavery to freedom and the creation of a people who had a special relationship with God. But, of course, they allegorized the Exodus story and made it part of their own story. And the Easter Vigil still retains that basic language and symbolism of a journey from slavery to freedom, a journey from oppression to liberation. WERTHEIMER: That's Andrew McGowan. He's dean of Yale's Berkeley Divinity School. Thank you very much for talking to us. Transcript provided by NPR, Copyright NPR. To see more, visit npr.org. 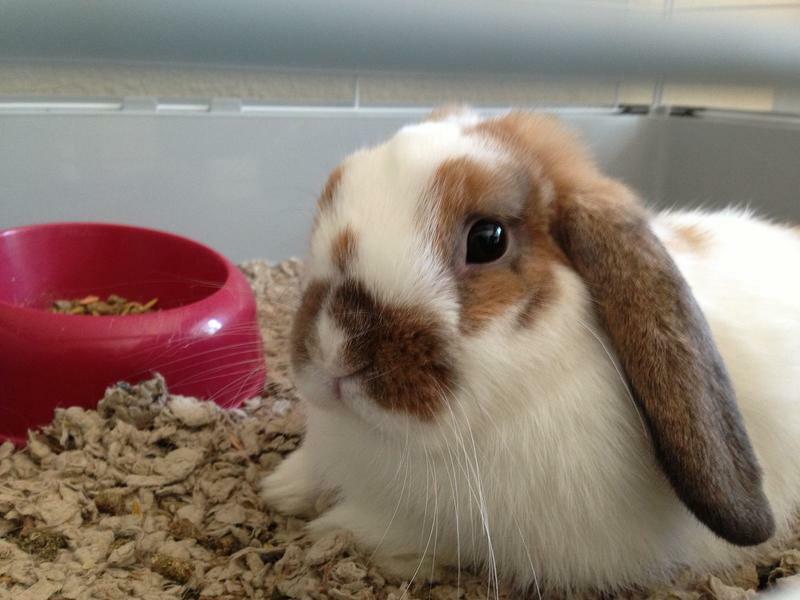 With Easter next month, many parents may be considering the purchase of a pet rabbit as a surprise for their kids. Editor's Note: This story was originally published on March 21, 2016 and has been updated. The holidays are considered a special time of bonding and celebration with friends and family. However, for some families, it's a bit more complicated.